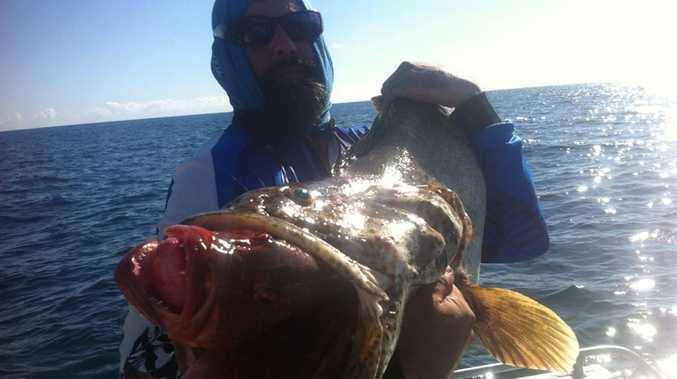 A 20KG spot cod had bitten off more than it could chew on Sunday when Shannon Harris reeled it in with two 4kg coral trout in its mouth. The fisherman of 20 years said it was a once in a lifetime catch. "When I saw it coming up I said to my mate, 'What the bloody hell is in its mouth?'" When the fish surfaced, Mr Harris said he was astounded when he realised there were two 4kg coral trout hanging from its mouth. "I can't repeat what I said at the time for the paper," he laughed. "Words can't really describe how you feel when you see something like that. "To have two fish in its mouth and still be able to take a big bit of flesh, it's pretty amazing what they can fit in their mouth." 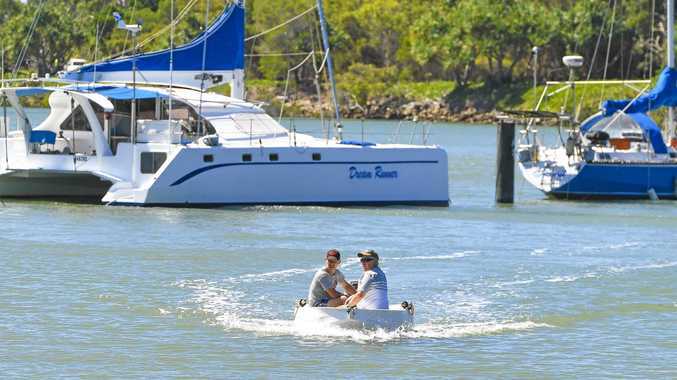 The big catch was reeled in 70km offshore from Gladstone, near Wistari reef. Mr Harris was using an 80 pound line at the time and a 15kg rod. "It was peeling over like no tomorrow. Every one metre I gained, the fish gained two," he said. It took two men 25 minutes to reel the fish in. "I've caught some big fish … but to bring something like that of the bottom was very intense," Mr Harris said. The fisherman used fresh bait to catch the whopper. He also uses squid or pilchards when fishing at the reef. He thanked his friend Rick Jerry, who fixed his boat motor so he could go out fishing that day. What's the most amazing thing you've caught while out fishing? Send your photos and details about your catch to newsroom@gladstoneobserver.com.au.